To make the spicy Mojo Asada, make sure to puree all of the ingredients using a blender. Once that’s done, marinate the beef tenderloin in the puree for a minimum of an hour or overnight. Using medium-low heat, heat a large skillet and use it to soft-scramble the four eggs. Lay out each of the tortillas and divide the eggs evenly among the two, making sure to do it in a straight line down the middle third of the tortilla. Top both of the tortillas off with the Jack cheese. After you wipe the pan/skillet, turn up the heat to medium-high. Take the steak out of the Mojo Asada marinade and place it in the pan, allowing it to cook through for about five minutes. Halfway through the process, add the fries. As you did with the eggs, divide the steak between the pair of tortillas, placing it beside the egg in the tortilla’s upper two-thirds. Top both of the tortillas off with avocado. Fold the tortilla sides towards the middle, placing your thumb just below the filling ingredients while keeping the rest of your fingers underneath the tortilla. Tightly fold the top third over the filling and then push in using your thumb so that the filling is “tucked” into the tortilla. Roll it towards you to add the finishing touch and repeat the process for the other tortilla. Make sure the skillet is clean and turn it down to medium heat. Making sure the fold is facing down, place both burritos on the skillet and cook them for about a minute until they’re crisp. Top them off with the cream and salsa verde before serving. 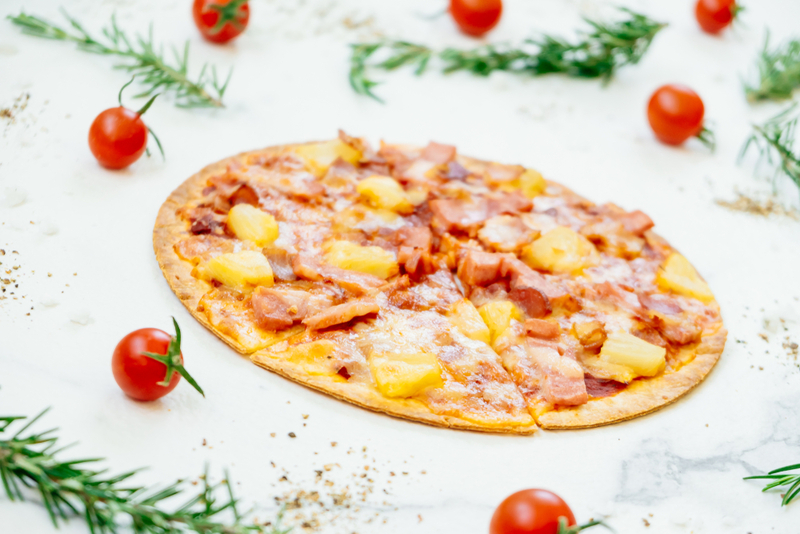 You can order pizza for delivery or you can try making your own by getting creative and using tortillas as the base. Why not add a different take on it by trying out this simple Parma ham and mozzarella twist? It takes no more than thirty minutes to prepare! Begin by preheating your oven to 338 degrees. Place the tortillas on a pair of baking trays and bake for about five minutes or until the tortillas look crisp, but not colored. Remove them from the oven and then increase the temperature a little to 392 degrees. Combine the tomatoes, garlic, the puree, and the oregano, making sure to mix them well. Season the mixture for taste. Spread half of the mixture evenly on the tortilla, making sure to leave a margin of about half an inch around the edges. 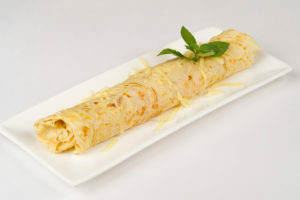 Follow by dividing the toppings across both tortillas as you wish and then add mozzarella and the parmesan. Bake the pizza for about twelve minutes or until the cheese has melted and become golden brown. Cut the pizza into wedge shapes and then spread the rocket leaves and basil to finish it off. Happy Friday! What’s on the menu tonight? Maybe this unusually cold weather has you in the mood to prepare warm foods that won’t take too long. If that’s the case, pay close attention to this chicken flauta recipe. Use a large soup pot to add the chicken, the broth, celery, onion, and the peppers. Add some salt and pepper for taste and allow the chicken to stew over medium to low heat until you can pull it apart easily. Turn the heat off and put the chicken aside until it’s cool to the touch. Once it’s ready, shred it and place it in a large bowl until it’s time to create the flautas. Heat the coconut oil in a large frying pan, making sure you have enough to fry the flautas. The oil should be at least an inch or two deep. Once it’s ready, heat the tortillas on a small skillet and then take a handful of the chicken and place it in the center of the tortilla. Don’t forget to squeeze out any extra liquid that may still be in the chicken. Roll up the tortilla and place it in the oil with the folded side down. Use tongs to move the tortilla around so it fries evenly until it’s golden brown on all sides. When ready, move the flauta over to a paper towel and repeat the process for the rest of the tortillas. 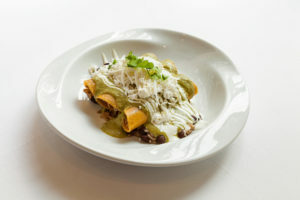 Serve the flautas with some guacamole, hot sauce, and your salsa of choice. 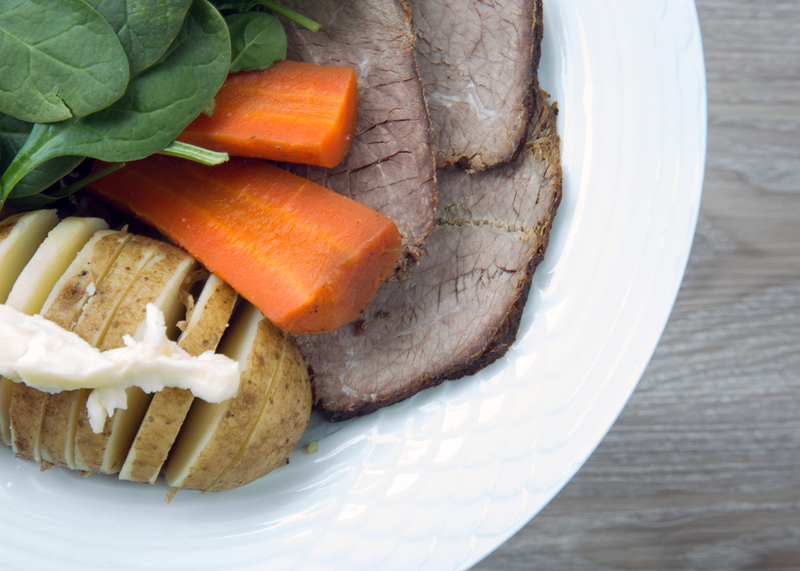 Are you a fan of roast beef? 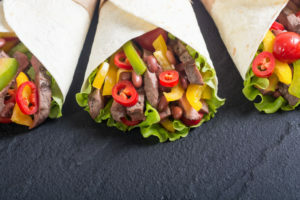 If so, you’ll want to pay close attention to today’s tortilla recipe showing you how to prepare delicious roast beef tortilla wraps! Let’s take a look at what you’ll need to make them. Use a small mixing bowl to combine the cayenne pepper, cream cheese, chili powder, mayonnaise, salt, and cumin. Beat everything together until it’s thoroughly combined. Grab a tablespoon of the mixture and spread it on one side of the tortilla, top it off with the onion, lettuce, tomato, and roast beef. Roll up the tortilla nice and tight before cutting in a diagonal shape. That’s it! You’re now ready to serve. Just like tacos, burritos are one of those foods that have a practically universal appeal. With so many options in terms of ingredients, there is a tremendous amount of room to get creative with them and devise something unique. Today we’re going to show you how to make a super simple “San Diego Burrito” that will only take you a few minutes to prepare. Here we go! For the sauce, begin by combining all of the ingredients together and blending them until they’re smooth. You may wish to use a squeezable bottle to make the sauce easier to serve. Once it’s time for the burrito, place the grilled onions, salsa, the carne asada, rice, peppers, beans, and a ¼ cup of French fries in the center of the tortillas. Fold in the sides and roll them up to create the burrito, making sure the seam side remains face down. Drizzle the burritos with the avocado cream and that’s it, you’re ready to serve! Is one of your New Year resolutions to host more social gatherings? If so, you’re going to want to diversify your menu when you host your parties. Today’s Spicy Chicken Tortilla Roll-Ups recipe is easy to prepare in advance and is packed with rich flavor. Begin by seasoning the chicken breast with half of the cumin, a teaspoon of the chili powder, and some salt. Move it over to a large skillet and add a cup of water before covering it and cooking over medium-high heat until it’s cooked through, it should take about eight minutes. Feel free to add more water should it be necessary. 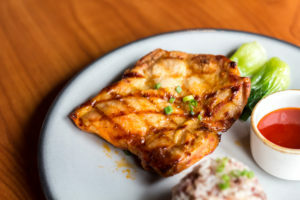 When the chicken is ready, move it over to a plate or cutting board, allow it cool a bit, and then shred it with a pair of forks. Use a mixing bowl to thoroughly combine the scallions, cream cheese, tomatoes, cheese, cilantro, garlic, and whatever spices are left before adding the cooled chicken and stirring it in. Lay out the tortillas and place an even amount of the mixture in the center of each one, making sure to leave a border of about a half-inch along the edges. 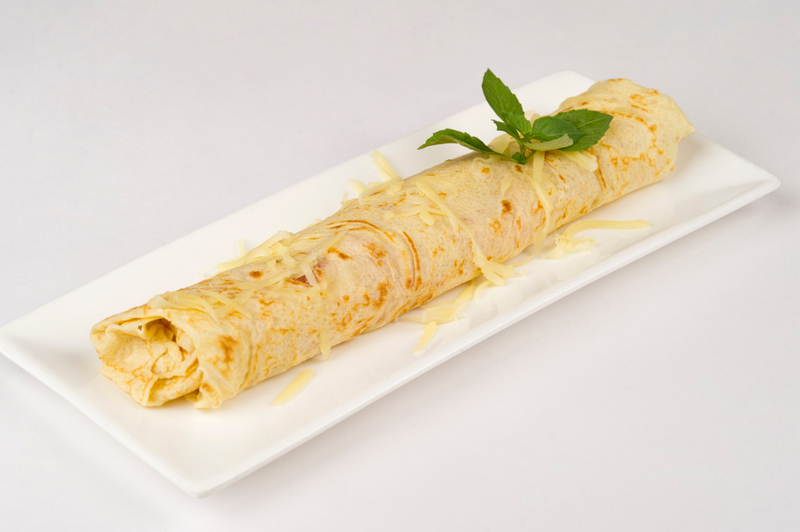 Roll up each tortilla tightly but do not fold the edges in like a burrito, allow them to remain free. Using a knife, cut inch-thick slices and move them over to a serving platter. Should any end pieces unroll, just enjoy whatever extras you have left. Cover the roll-ups and refrigerate until it’s time to serve.